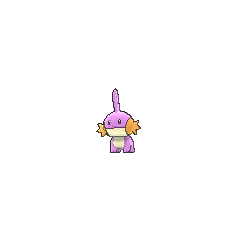 Mudkip in game: 6,929 Who? Important notice! Pokemon Mudkip is a fictional character of humans. Brock has a Marshtomp that he caught as a Mudkip in A Mudkip Mission. 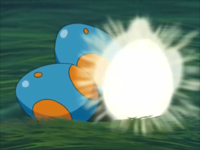 Mudkip Eggs were seen in the episode when Old Man Swamp offered to let Brock see one hatch, and Brock accepts his offer with enthusiasm. 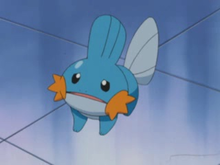 Mudkip first appeared in Get the Show on the Road, when May was asked to use a Pokémon to attack some Poochyena. 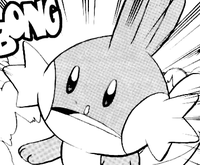 Then, when May was asked to pick her starter Pokémon, she didn't pick Mudkip after it refused to do what May asked. During Having a Wailord of a Time, Nurse Joy asks Ash and Max to look over a Treecko, Torchic and Mudkip while she wasn't there. The Mudkip of this group was very young and cried easily. A Mudkip was used by one of the students of the Pokémon Trainer's School in Gonna Rule The School!. A Coordinator's Mudkip appeared in Now That’s Flower Power!. 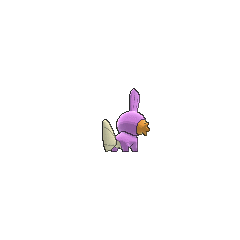 A Trainer's Mudkip appeared in Off the Unbeaten Path participating in the Pokémon Orienteering. 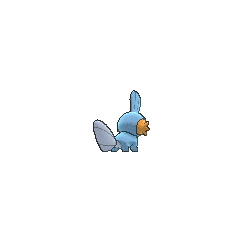 A Mudkip appeared in a flashback in Rivals: Today and Tomorrow!. In Pokémon Adventures, when Ruby was attacked by Sapphire's Torchic, Professor Birch told him to look in his briefcase, to pick up the Poké Ball with a blue Pokémon and to throw it. 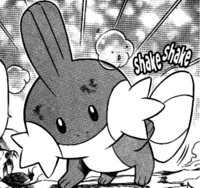 The Poké Ball released a Mudkip and he nicknamed it Mumu. At the beginning, Ruby was disappointed with it because it wasn't as attractive as his other Pokémon and it couldn't participate in any Pokémon Contest. He tried with different conditions and then decided that Tough Contests would be perfect for it. Mumu eventually evolved into a Marshtomp and then into a Swampert. 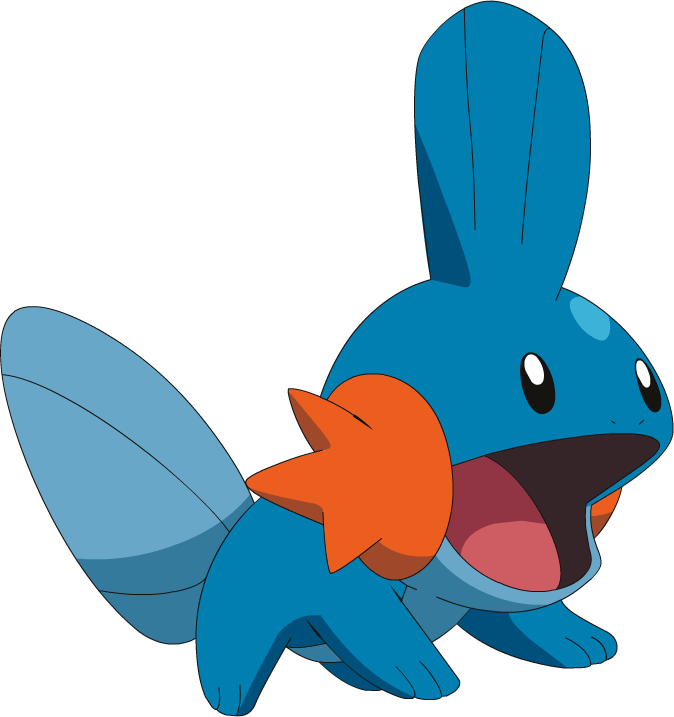 Mudkip has the highest Attack out of all the starters at its base form. 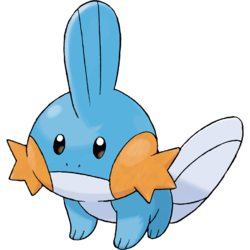 In a poll conducted by Nintendo of Europe, Mudkip was voted as the fan favorite starter, with Typhlosion and Blastoise close behind. This Pokémon is based on the mudpuppy or mudskipper, or also possibly an axolotl. Since Mudkip is the Mud Fish Pokémon it might also be based on the gilled African lungfish.